Palm Desert, California (May 9, 2017) – With numerous supporters, board members, staff and youth in attendance, The First Tee® of the Coachella Valley (TFTCV) received a donation of $15,000 from LPGA Co-Founder Shirley Spork on behalf of her 2nd Annual Pro-Am Golf Tournament fundraiser. The funds will support select young golfers via partial and full scholarships for programs at TFTCV. A total of 350 children in the Coachella Valley will benefit, giving them access to the game of golf and valuable life lessons taught on the greens. “This was made possible from the kindness, thoughtfulness, and generous contributions of the sponsors and players.” – LPGA Co-Founder Shirley Spork. The 2nd Annual Shirley Spork Pro-Am Golf Tournament brought several sponsors to the green and a total of 144 players participated in the 18-hole event. A silent auction brought players to bid on various items including actual golf apparel and equipment worn and used by LPGA golfers. The Pro-Am Tournament was held in April at the Palm Valley Country Club in Rancho Mirage, CA and raised a total of $30,000. Spork also donated $15,000 to her alma mater, Eastern Michigan University’s Collegiate Women’s Golf program. 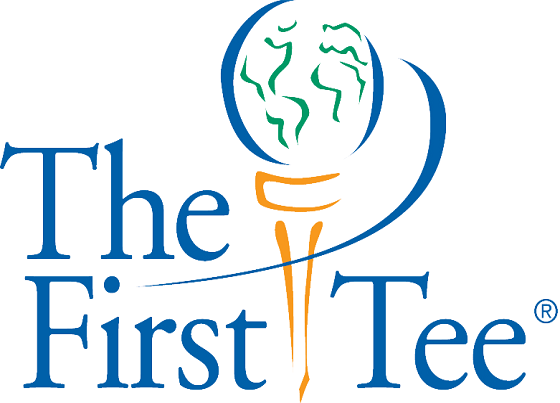 The First Tee® has established Nine Core Values that represent some of the many positive values connected with the game of golf: Honesty, Integrity, Sportsmanship, Respect, Confidence, Responsibility, Perseverance, Courtesy, and Judgment. By participating in The First Tee®, young golfers are introduced to these core values which are incorporated throughout the program. The check presentation took place at TFTCV in Palm Desert and there was also a special surprise for Shirley when the children presented her with a birthday cake celebrating her 90th Birthday. Shirley Spork is featured on the right in the photograph along with LPGA USGA Girls Golf class. For more information or to register a child in The First Tee® of the Coachella Valley programming, visit TheFirstTeeCoachellaValley.org or call (760) 779-1877.